It is clear that urban vehicles are evolving towards a cleaner, more environmentally friendly area. Electric, cheaper, mini-vehicles are the new favorite trend in the automobile industry. 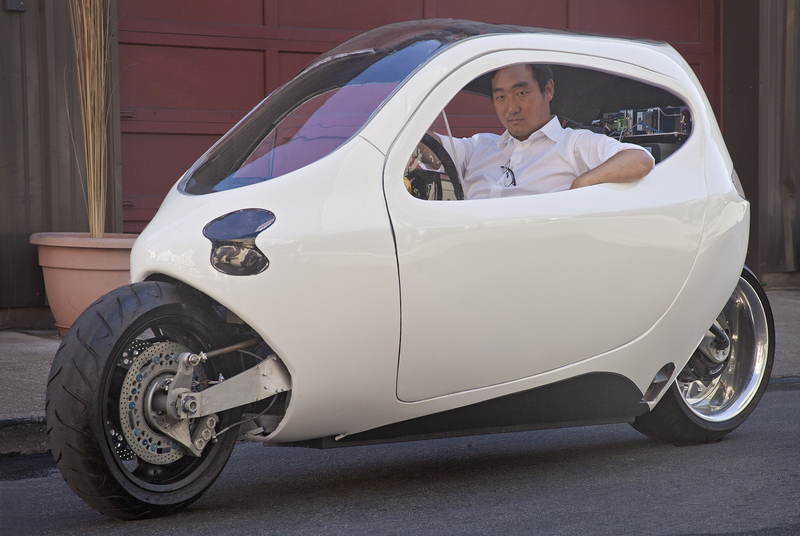 Due to this, Lit Motors and, more specifically, his founder Danny Kim, has developed “the perfect SUV”, a fully-enclosed motorcycle that defeats physics laws. Combining the romance and efficiency of a motorcycle with the safety and convenience of a car, the C1 is considered the ultimate urban vehicle. The C1 is 100% electric, with a top speed of 100+ mph and a range of up 200 miles per charge. 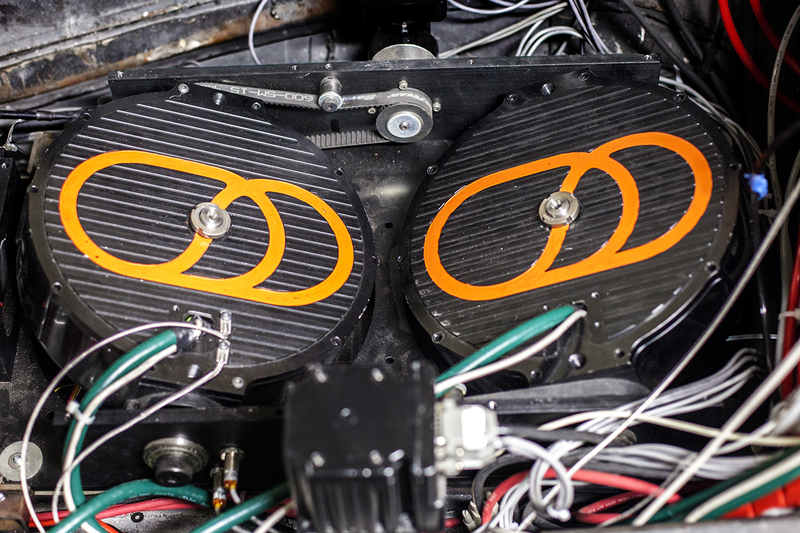 It uses high torque in-hub motors to accelerate from 0 to 60 in six seconds. Charge times depend on voltage, from six hours on 110/120V to four hours on 220/240V, to less than half hour at 400/500V. Danny Kim in the motorcycle. Influenced by Scandinavian design, the exterior of the C-1 is both approachable and simple, enveloping you in subtle curves, softened volumes, and expansive glass. It is designed to transport you and your daily essentials, with room for a passenger when needed. It counts with car-like safety features such as: seat belts, multiple airbags, a steel-reinforced chassis, which gives you the safety of a traditional four-wheeled car on two wheels. 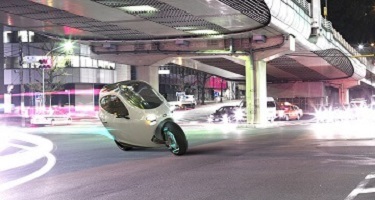 But the main characteristic of the hybrid is his patented gyroscopic stability system (image on the right). The C1 manages to stay upright using two large gyros on the bottom, spinning in opposite directions. They’re so powerful it can withstand a sideways impact from an SUV and not tip over, making it safer than a narrow vehicle of similar design but with at least three wheels. Danny Kim, hasn’t announced the official delivery start date, but they are accepting preorders with an estimated price of $24,000. While you wait, enjoy this video of the C1 prototype! We hope you enjoy the post! For more innovations visit us on FB, Twitter, Linkedin and Instagram!